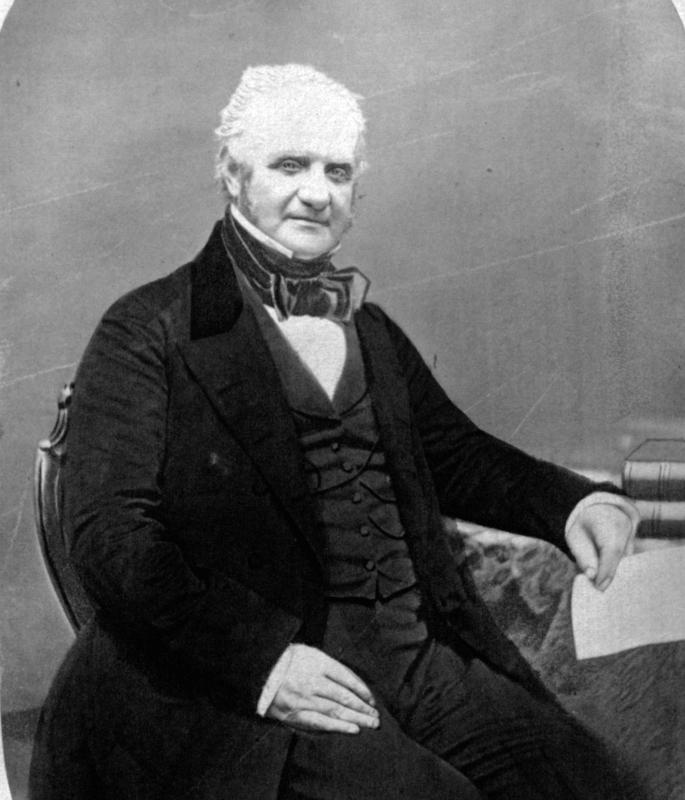 George Peabody was a banker and philanthropist. He was arguably the first man of wealth to donate much of his fortune to benefit others. He was born in South Danvers on February , 1795, in a house on Washington Street. In 1868 the town of South Danvers was renamed Peabody in George Peabody’s honor. In November of 1869, Peabody died in London. His remains came back to the United States aboard the H.M.S. ,,, It docked in Maine, and a funeral train brought Peabody back to the town of his birth for the last time. He is buried in Harmony Grove Cemetery. George Peabody’s legacy lives on in the many schools, libraries, and trusts that he founded. The house on Washington Street in which he was born is now the George Peabody House Museum.